The SEGA Addicts Podcast will record episode 37 next week! 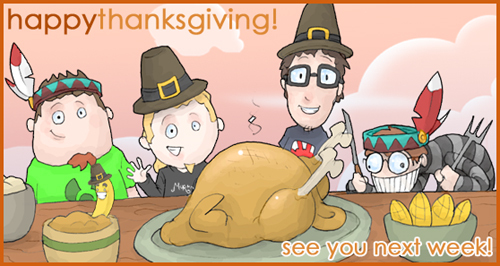 Have a great Turkey Day, everybody! We’ll be back next week to record Episode 37. Now, PASS THE GRAVY!!! Post your listener questions for Episode 124 here! I WILL CONSUME VAST AMOUNTS OF TURKEY AND PIE IN YOUR HONOUR.